Hope you remember that on May 12, 2016 I had written on my site and emailed you that very soon Nifty will hit 8000. My prediction came true in 14 days. Today Nifty closed at 8156.65 – in fact 8000 was achieved a couple of days back. Let me tell you that there was no Technical Analysis involved, in fact I am NOT a TA. It was based on pure experience and logic that whatever falls will go up one day especially if its a good stock or Index. Its obvious that when Nifty is falling some of the great stocks are being sold at very attractive prices and people will rush with money when they see valuations of great stocks going down. This will lead to the rise of Nifty. So I saw an opportunity to make money. Since yesterday’s close the profit is Rs. 28,068.15 I think it will cross Rs. 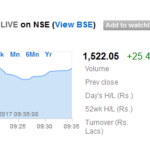 30,000 today as Nifty closed 1.08% up. I have now shifted this fund to a liquid fund so that I keep this profit forever. Note that I started SIP in this fund from November 2015 from the time Nifty started falling. I knew that Nifty cannot keep falling forever, it will go up some day and I can book profits. Reason of my thinking is given earlier. Total return is 13.62% in few months – what more can I ask for? I am very happy. Note that the annualized return has increased to 16.12%. So this converts to 16.12/6 = 2.68% return a month since the last 6 months. What are the benefits of these kinds of risk-less and greed-less trading? 1. There is absolutely ZERO stress: I traded with the money I did not need for next 5-6 months as I knew it might take that much time to rise once again. Though as you can see it took exactly 6 months. 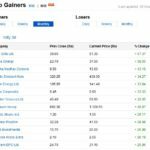 13.62% return in 6 months converts to 2.27% every month. (After the final day returns the annualized return has increased to 16.12%. So this converts to 16.12/6 = 2.68% return a month.) Note that SIP was automated. My only work involved was to take a decision and decide how much money I wanted to invest in this fund. Rest the system took care. Note that there is no Exit Load in ICICI Prudential Nifty Index Fund – Direct Plan. Expense is also very small at 0.56%. So basically they will shift almost all profits and money to the liquid fund today after new NAV is adjusted as per today’s profits. 2. No hard work is required: Read point 1 above as you can see I worked for just half an hour in November 2015, to take a decision if I will do this or not. Once my brain said yes, I logged in to my ICICI Mutual Fund account and made the system work to do the job. A half an hour job resulted in 16.12% profit in 6 months. Remember that last full month I was sick – met with an accident and was serious for 15 days in hospital. So basically I did nothing but still made a return of 2.68% that month. In fact I did nothing with this investment for last 6 months yet clocked 16.12% return. So absolutely zero hard work. 3. Risk is very less: I am not saying that risk is not there. Nifty still could have been today at 7500 and the fund would have been in a small loss but we all know that Nifty is not going to go on in one direction forever. Somewhere down the line the stocks will look very attractive and people will start buying them. Nifty will then rise. Exactly the same happened. Look at the stock prices now and compare them to when Nifty was at around 7200. 4. Sticking to basics: Remember the most popular phrase by Warren Buffet the best stock investor of all times – “Buy when everyone is selling, and sell when everyone is buying“. I follow this rule in investing even today. So I was buying when all Future traders and stock owners were pressing the sell button. Some of the Future traders would have lost a fortune when they pressed the sell button a few days back and Nifty jumped 5-6% in few days. And now when they are pressing the buy button I have sold my profits. Can you see how easy it is? It needs some patience though. Greedy traders will never get attracted by this great and easy trade because they want to make too much money too fast and in reality they lose too much money too fast. And some want to trade everyday for fun and it costs them a lot – they still do not learn. I trade only when I see an opportunity else I do not trade. 5. Risk management: This money was shifted from a liquid fund to the index fund once in a week since the last 6 months. 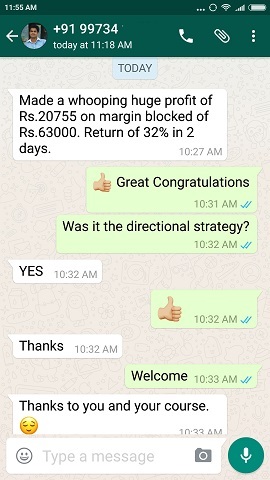 As you can see I did not let greed or speculations take over me and shifted all 4.5 lakhs in one day to try to show off myself that see how smart I am in trading. In fact I knew no one knows till where Nifty will fall. Therefore I let the system decide that it keeps investing every week and I get to the lowest level as well and average my investments in the best possible way. Which the system did because it does not have greedy brains. Now obviously the investments have been stopped and the profits shifted back to liquid fund. Note that this profit would have come in almost 2 years had I not taken that decision to invest in this fund. 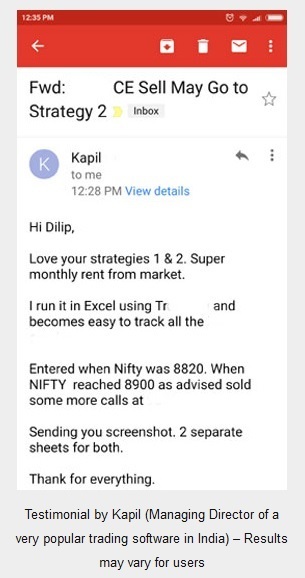 2 years profit came in 6 months, that too without any work. What more do I need? But greedy traders will try to make this profit in one month the result is obvious – they lose money. Be patient with your investments and take very conservative decisions. Ask any conservative trader I bet they are all making at least 20% return a year with no difficulty and stress at all. Ask any aggressive trader – most will come out with lakhs of losses in couple of years. Now you chose what you want to be. I am very conservative trader whether its options trading, stocks buying or mutual fund investing. In fact me and my wife are very conservative in life as well. We do not buy costly items to show off even though we can afford, as frankly no one cares if you show off. Tell me how many of people make more friends who have mobile phones worth Rs. 50,000? Do you think they buy mobile phone worth 50k for some extra features. NO. They just buy it to show off to their friends and they do not know that their friends do not increase respect or love for them just because they have bought a costly phone. They do not realize that their life remains same and they become poorer by 50,000 rupees. On top of that a person who bought a mobile phone worth 50,000 is always worried about his phone. What if it gets stolen or falls and break? So basically he wasted 50,000 and bought more worries. So what was the benefit? NOTHING. Live in real life and you will always be happy. My Conservative Option Course will help you become a conservative trader. Here are some testimonials. And here is where you can pay online. & Yes..Live in real life as you said….To be always Happy in Life. True unfortunately people run after money and cannot control greed and live a pathetic life – especially aggressive traders. They do not even understand that just earning money through stress cannot make them happy. What makes us happy is people around us and how we want to live our life. But they just run after money and are never satisfied with what they are earning and live a stressed life forever even if they are above middle class. Please note that adding zeros to your net worth will only add zeros to your happiness and in fact add more stress. This article is very well written and down to earth. I’m also trying to take control over my greed but the big amount lost in the market is making me impatient and ….. hope soon I’ll take control. Sorry to learn about accident / poor health conditions. Glad to know that you are doing much better now. Take care. I must accept that your writings are very true and many who read can relate themselves to the facts mentioned in your writings, like lose too much money too fast, and I am one of them, may be its greed or desperate attempts to recover the lost money, which is never recovered and losses mount till one throws the towel in with nothing left to trade. 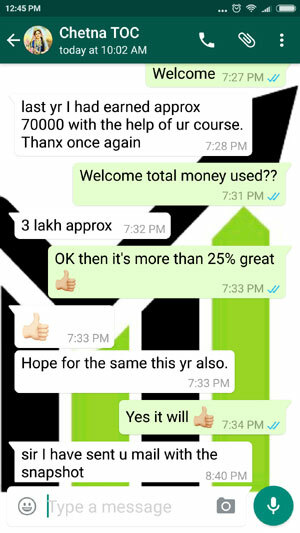 All said and done, I wish you could advise investors when and where to invest and when to book profits than giving them courses to learn to trade, frankly no one has the time to learn and grasp the ever changing funds of market, you can have your conservative charges for buy and sell calls, I think that will generate more confidence in you than your courses. After all every one is not Dilip Shaw to predict market moves like a true fortune teller. Never the less love reading your write ups. what will be the impact on indian market due to US fed meeting on 14 and 15th of this month and referendum on Britain exit from European union. What should be our strategy in these uncertain time. Shubha frankly I do not care for these events. For me VIX is important. It will be high just before the news and will fall afterwords. So I hope you know what I will trade its there in my paid course. Nothing great in predicting the Market. Without Trading anyone predict anything. But, a person predicting, may not trade. I never said its a big deal. 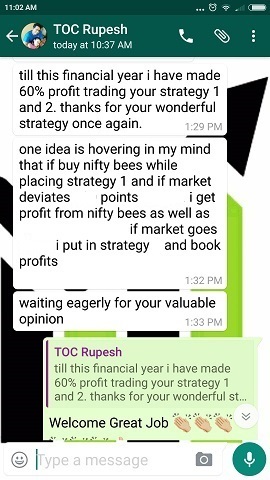 All I wanted was to share an idea if you have a medium term view of Nifty how you can profit from it easily and fast. I am not charging anything from anyone for sharing this free idea. So it is up to the readers to follow it or not. May be but I just wanted to share this idea with my readers that’s it and its free for all. If you want to follow or not follow its up to you.